Vallarta Botanical Gardens are botanical gardens located half an hour away from Puerto Vallarta in Cabo Corrientes, Jalisco, Mexico. This photo was submitted by BC. He writes: "Located 24km Southwest of Puerto Vallarta, the area's botanical gardens featuring extensive numbers of orchids and other plant life native to the mountainous area. 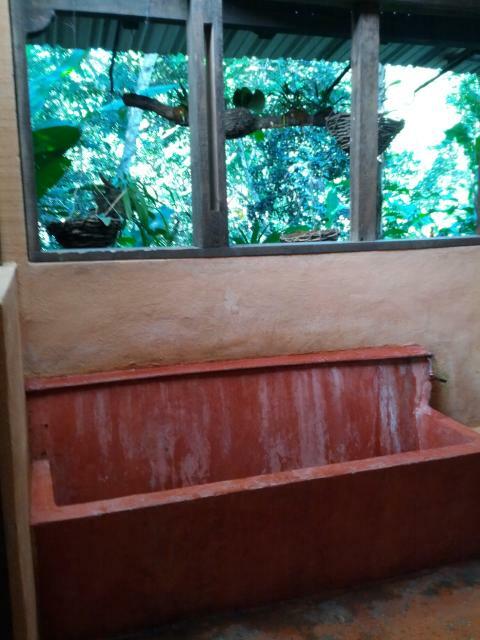 The urinal gives visitors a view of the jungle out back with baskets of orchids to complement the scenery."